It’s finally that time of the year for me. The holiday rush is finally over and now the cold winter months have really set in. A few weeks ago it was a -35 degree windchill day. I mean seriously…. Anyway, typically when it’s this warm (ha,ha!) out we spend time working on projects in the house or my hubby fires up his heater in his workshop and starts messing around out there. By the end of January, beginning of February, I am typically bringing out my garden plans for previous years and browsing my seed catalogs that come in the mail. I know it’s super early, but it’s nice to have something to do on a cold winter’s night when it’s frigid outside and I am missing the crisp lettuce salads from my garden. This year I have a bit more planning to do because I seem to have inherited two huge boxes of mason jars. I am going to bet there are at least 200 of them. And you add those to my collection of jars…well, I have plenty of jars for canning. Which is actually really awesome! I love canning, but I hate when I run short on jars and have to run to the grocery store to buy more- or sometimes in my case start grabbing all my decorative ones up to wash. Now, I am set for quite some time! The problem I ran into was the fact that I had all these jars, but my canning “area” in our laundry room was a small cupboard and it was already as full as things could get. 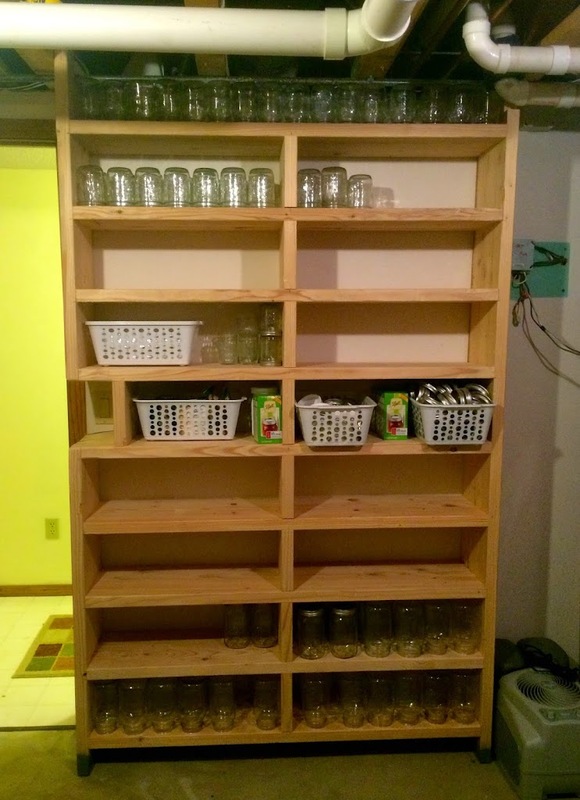 I got on Pinterest and starting looking for various ways to store canning jars, but before I even had a chance to show my farmer he was drawing up plans of his own and then before I knew it he was building a nice sturdy shelf for all my empty jars. He built it extra sturdy too so that I could store all my canned goods once I get done canning! 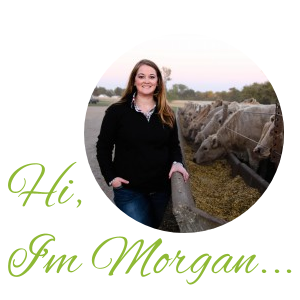 As farmers we do our best to be sustainable and we take pride in that. As a mom and wife I find a lot of satisfaction in growing my garden all summer long and then enjoying my harvest during the winter months. This summer I imagine my canning season may not be perfect with the new baby around. But, I know that this is something that I will love for years to come. I think it’s the perfect addition to our furnace room downstairs and will offer me, what I hope, is more than enough storage for my canning goods. How do you store your garden foods for the winter? And are you as excited as I am about the gardening season? !